We have compiled 6 common roofing issues that could occur to your rooftop this year. When these issues are handled and dealt with, major repair is typically not necessary. On the other hand, when they are avoided and overlooked, a costly and timely flat roof repair project could be waiting for you when that first rainstorm passes through. 1. Ponded Water: This roof has a large area of ponded water, which can cause the surface to delaminate, blister, peel, and compromise adhesion of the roofing system to the building’s substrate. You will need to address this issue if it has begun to occur, and fix it immediately. The AcryShield SPF Roofing System can eliminate drainage issues by adding custom slope to your roof in areas where ponded water typically occurs. 3. Large Blister: Blisters can occur because of several reasons, including: adhesion issues, ponded water, aging membrane and more. They need to be fixed immediately as water penetration is very likely. Contact one of our Roofing Professionals with zero obligation to determine your next steps to restoring your current roof. 4. Debris from Overhanging Trees: This is a simple, yet common oversight that needs to be addressed. 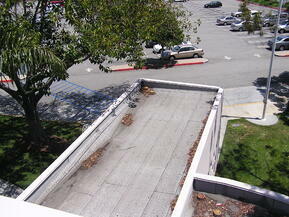 Branches can cause abrasion to the surface of the roof and should be trimmed away. Ensure the rooftop is clean and free from any leaves, broken branches etc… which if ignored can create clogged drains and ponding water. 5. 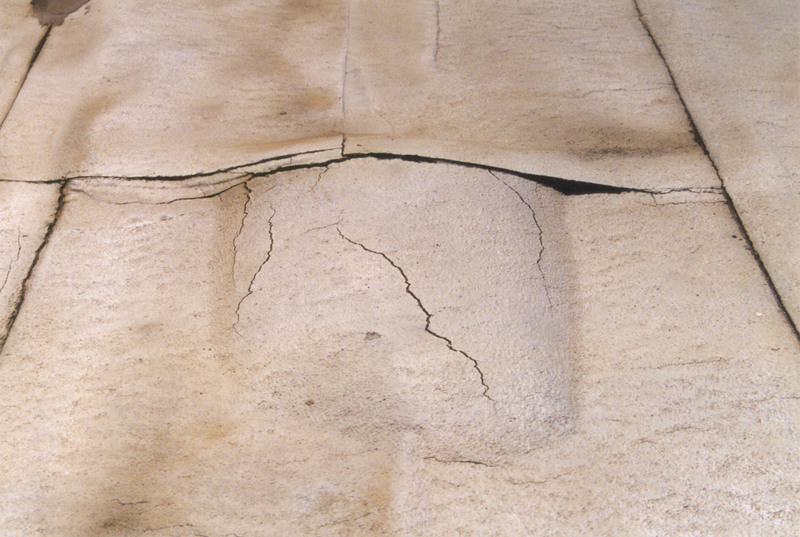 Mastic Cracking at Pipe Jack: Water penetration is likely to occur when seals are failing and not functioning as designed. All areas on the roof around joints and flashings need to be inspected to ensure seals are properly working – have good flexibility (not brittle), adhesion, and water resistance. 6. 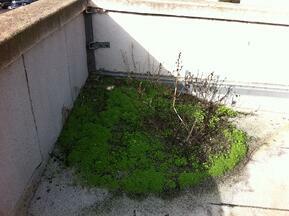 Plant Growth: Weeds, trees, and plants can grow out of the smallest cracks in the sidewalk and along roads. Your roof is no different. You want to remove any form of plant growth immediately as this can cause many different issues (improper drainage, damage from roots, inadequate adhesion, ponded water, etc…) to your roofing membrane that would require a flat roof repair project to be crucial. 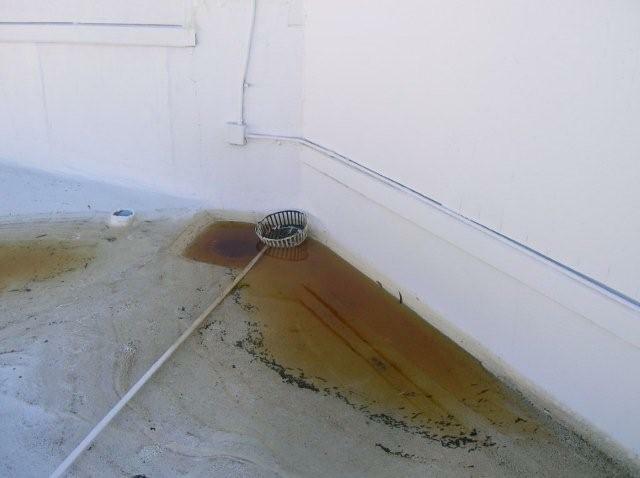 Contact National Coatings if your roof is experiencing any or all of these situations. We can provide you with a cost savings solution that will allow you to restore and maintain your current roof, avoiding a costly and timely roof tear-off. For more information, download our Free Systems Brochure. What are “Flat Roofing Systems”? There are two types of roofs: low slope, (which is often referred to as a “flat roof”) and steep slope roofing. Low-slope roofs are less than or equal to 3:12 or 14 degrees in slope and steep slope exceeds 3:12 or more than 14 degrees in slope. Like all roof materials, these flat roofing systems provide weatherproofing, reinforcement and surface protection. Low-sloped roofs have an asphalt, metal, single-ply or SPF roofing system initially installed on top of it. A roof coating system is often added on top one of those systems for an increased roof lifespan, energy savings, protection, maintenance and/or restoration. Roof coatings can be added during the construction phase to increase reflectivity, provide additional protection and decrease energy consumption. Coating an asphalt roof covers the black surface of the roof and creates a white rooftop, which allows the building to remain a cooler temperature without the extra use of air conditioning. (Check out our graphic showing how a “Cool Roof” saves a substantial amount of money versus a “Normal” aka black roof.) Coatings are also added during the construction phase onto SPF systems to protect the foam from the sun’s harmful UV rays. The UV rays would cause premature degradation to the foam, if the foam wasn’t covered and protected by the coating. 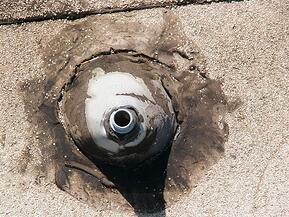 This is a necessary step to applying a spray polyurethane foam system to any rooftop. 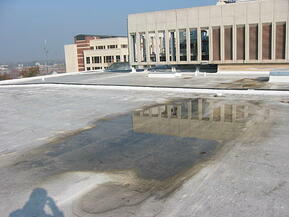 Roof coatings are also applied onto these flat roofing systems when initial signs of degradation and failures occur. The coating systems are able to restore and renew these flat roofs to new without a costly tear-off, without business closures or disruptions and for a very competitive cost. The roof coatings extend the lifespan of the roof up to 20 years and can be re-coated every 10 or so years to restore your existing roof indefinitely. This can save you thousands of dollars by avoiding a traditional roof replacement. 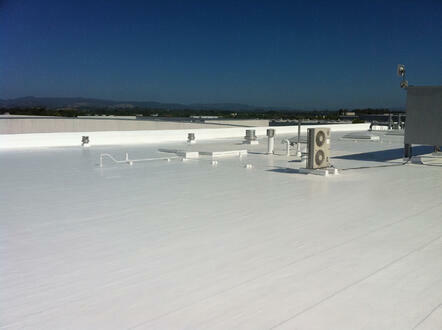 Read our article: Life Cycle Cost Analysis Using Roof Coatings for a detailed cost analyses. If you are interested in more information on roof coatings for flat roofing systems, download our Free Product and Application Brochure, or our Considering Coatings – a Free Guide to Roof Coatings.